To a land of ice, polar bears, whales, and thousands of years’ worth of Alaska Native traditions, the Trump Administration is looking to send more dangerous oil drilling rigs. The Trump administration is moving forward with its disastrous plan to hand Alaska’s waters over to Big Oil. Its first target? The Beaufort Sea in the Arctic Ocean. Make your voice heard by April 30. Tell Trump and his administration that you want to protect the Arctic’s iconic wildlife and coastal communities from catastrophic effects of offshore oil drilling. PERSONALIZED COMMENTS ARE CRITICAL IN THIS PROCESS. If you live in Alaska or in a coastal state, please mention this in your comment to the Bureau of Ocean Energy Management. 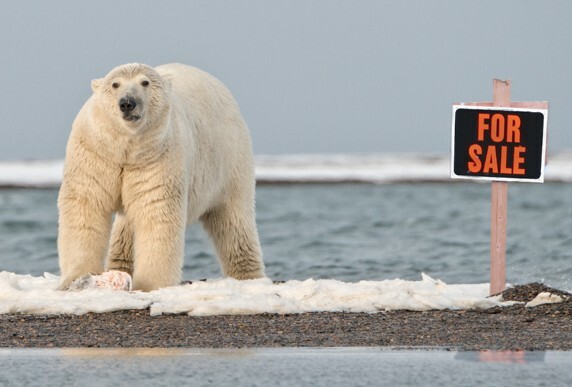 Sign the petition to tell Trump and Interior Secretary Zinke that you are one of millions of Americans who want to protect the Arctic from dangerous and unnecessary offshore drilling. If you’d like to submit your own comment directly to the Bureau of Ocean Energy Management, you can do so here.